To win a copy of Clare Mulley's The Women who Flew for Hitler, just answer this question in the Comments below. "How best should we tell stories from the 'wrong side' of history?" This month the History Girls have a Jane Austen theme so when it came to considering what to put into the Cabinet of Curiosities, it seemed only appropriate to bring my own little piece of Jane Austen with me – my copies of her novels. However my Jane Austen novels are special to me. They were given to me by my grandparents. I was a bookish teenager and had actually read Austen previously – my mum’s copies, when I was about 12 – and just hadn’t got her. Too much sitting around talking, not enough stuff happening (I know, I know – all I can say is that I was young.) So I said ‘thank you’ politely and wondered what on earth I was supposed to do with a set of books which a) we already had in the house and b) I knew I didn’t like (even though they were Classics). They’re unlike any books I owned at the time. They were obviously old – not ancient, but definitely not new (I can’t recall where my grandparents said they’d got them, sadly.) The title page informs me that they are part of ‘Collins Library of Classics’, although they contain no date of printing. A quick online skim says that they were published between 1903 and 1945, probably in the 1930s. For another thing, they were small, much smaller than a standard paperback (6 x 4 inches rather than approx. 7.5 x 5), red-bound with gold lettering on the spine. The pages were made of much thinner paper than I was used to handling and each included a picture opposite the frontispiece. And they had that proper old-book smell. So having started by saying I love my Kindle – and I do – it is also right that reading Jane Austen is still a very different experience for me when I pick up my little red copies. I do have e-copies (and audiobooks too) and they are wonderful novels in whatever format I choose. But when I read them in their physical form, they look, smell and feel as they did that (second) time I read Jane Austen: they are excitement, discovery and emotion made real. And that’s what books should do, surely? Our guest for July is Clare Mulley used to be a History Girl herself. Clare is an award-winning biographer, and regular contributor to historical and current affairs journals, TV and radio. Clare’s first book, The Woman Who Saved the Children (2009) won the Daily Mail Biographers' Club prize. 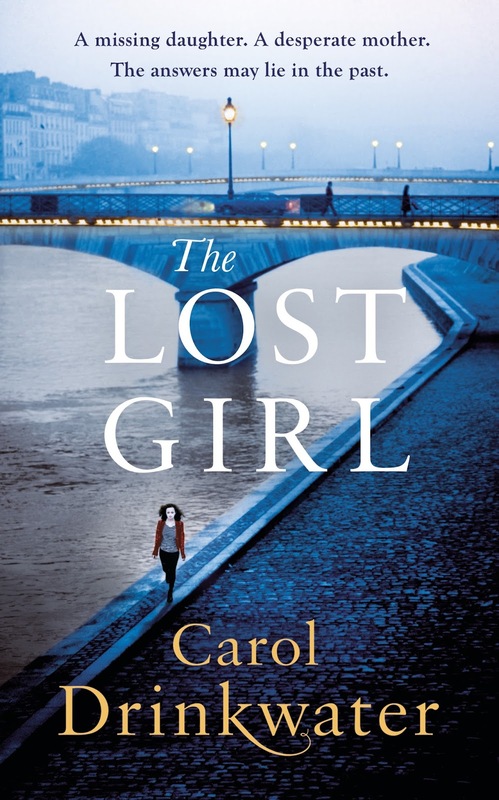 The Spy Who Loved (2012) which looks at the remarkable life of Krystyna Skarbek, aka Christine Granville, Britain's first female special agent of the Second World War, has been optioned by Universal Studios. 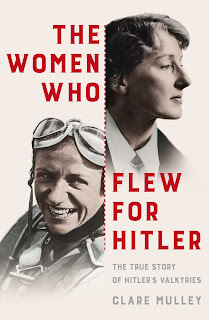 Clare's third book, The Women Who Flew for Hitler, a joint biography of two extraordinary women at the heart of the Third Reich, has just been published. As well as contributing to TV and radio for the BBC, BBC World, ITV, Channel 5 and the History Channel, Clare has given talks at most of the major British literary and history festivals, the National Army Museum, Special Forces Club and British Library. This autumn she will repeat her lecture tour on the female agents of the Second World War in London, Paris and Valençay for Historical Trips. Clare reviews non-fiction for the Spectator and History Today, and is the chair of the judges for the Historical Writers Association 2017 non-fiction prize. 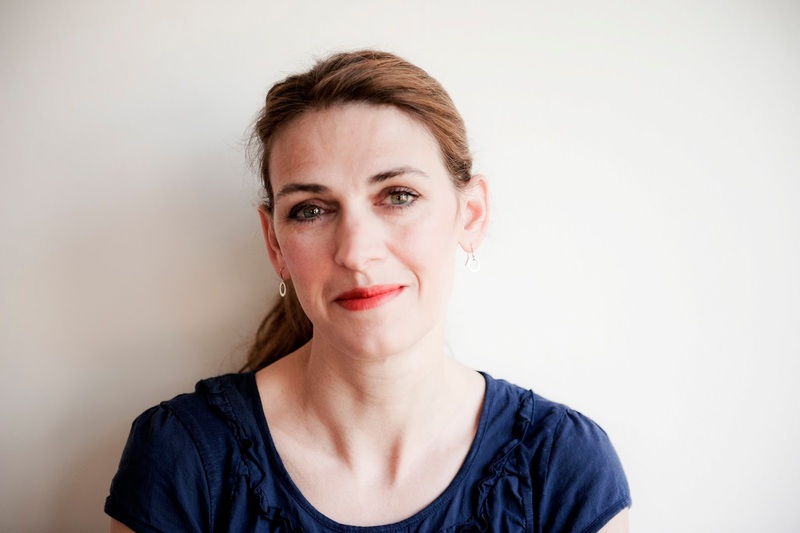 Clare has previously worked for Save the Children and Sight Savers International, and is now a member of English Pen and Writers Against Racism. She lives in Essex with her husband, the artist Ian Wolter, their three daughters and a hairy lurcher. With my past biographies, The Woman Who Saved the Children, and The Spy Who Loved, I have been honoured to research, consider and write about heroines. There is a rich seam of untold stories here. So rich, in fact, that I have to wonder why Jane Austen will feature on not just the new £10 note this summer but also on a £2 coin. 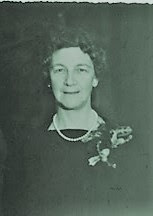 Much as I admire Austen, there are many more women whose huge contributions should also be remembered, such as the founder of Save the Children and pioneer of universal children’s rights, Eglantyne Jebb, or Krystyna Skarbek, aka Christine Granville, the first and longest-serving woman to work for Britain as a special agent in the Second World War. Both these women are to some degree controversial, yet both were indisputably heroines, fighting with courage and conviction on the right side of history. 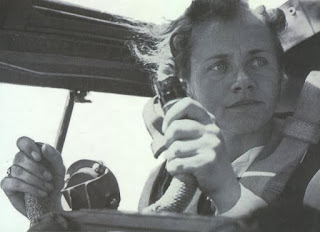 My new book, The Women Who Flew for Hitler, has a very different but no less important subject. It looks at two women, anti-heroines, fighting with courage and conviction right at the heart of the Third Reich. This is not an attempt to consider ‘Good Nazis’ or ‘Bad Women’, but to look at two real women whose convictions, limited choices, determination and courage, blindness and fear, led them to choose very different paths during the war. Taken together, their dramatic stories raise important and fascinating questions about gender, technology and ideology; coercion, consent and the meaning or construct of truth. Hanna Reitsch and Melitta von Stauffenberg were both brilliant pilots. Hanna with her dazzling smile, blonde curls and blue eyes, was an enthusiastic supporter of Hitler’s new regime, happily lending her image to a series of publicity articles and collectible cigarette cards. 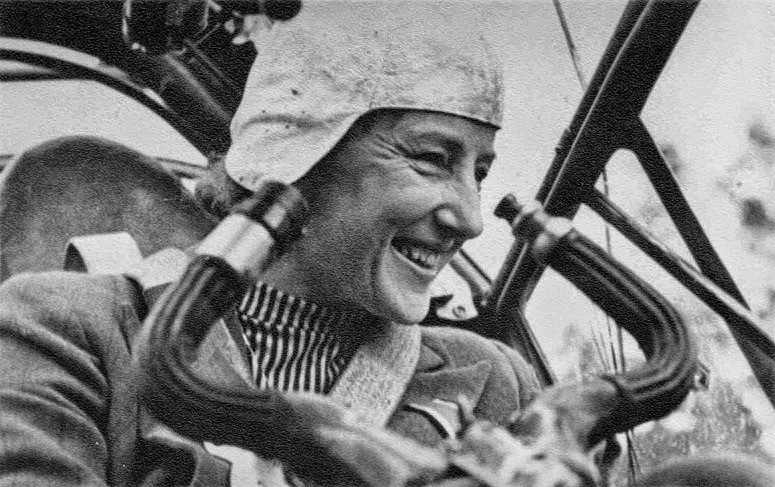 She also test-flew the most pioneering designs from the Nazi aircraft development programme; repeatedly flying into barrage balloon cables to test the design of wing blades, and eventually testing landings with the famous Me163 rocket plane, nearly killing herself and destroying her face in the process. Hitler awarded her the Iron Cross for her courage and commitment to duty, making her the first woman to receive the honour during the war. The darker, more serious and seemingly shy Melitta had a more conflicted relationship with the regime. Although she would never accept many of the policies and practices of National Socialism, Melitta became one of the Nazis most senior aeronautical engineers and a lead Stuka dive-bomber test-pilot. She conducted an incredible over 2,000 test dives during the war, sometimes passing out with the G-force and only regaining consciousness just in time to pull out before impact. Melitta knew she had to work at the limits of the possible; it was through becoming uniquely valuable that she hoped to help protect herself and her siblings – all of whom had been defined as Jewish ‘Mischling’ in 1937. By 1944 Melitta had been reclassified as ‘Equal to Aryan’, her family were safe, she too had received the Iron Cross, and she was heading up her own military flight institute; an unheard of position for a woman in Nazi Germany, let alone one with Jewish ancestry. 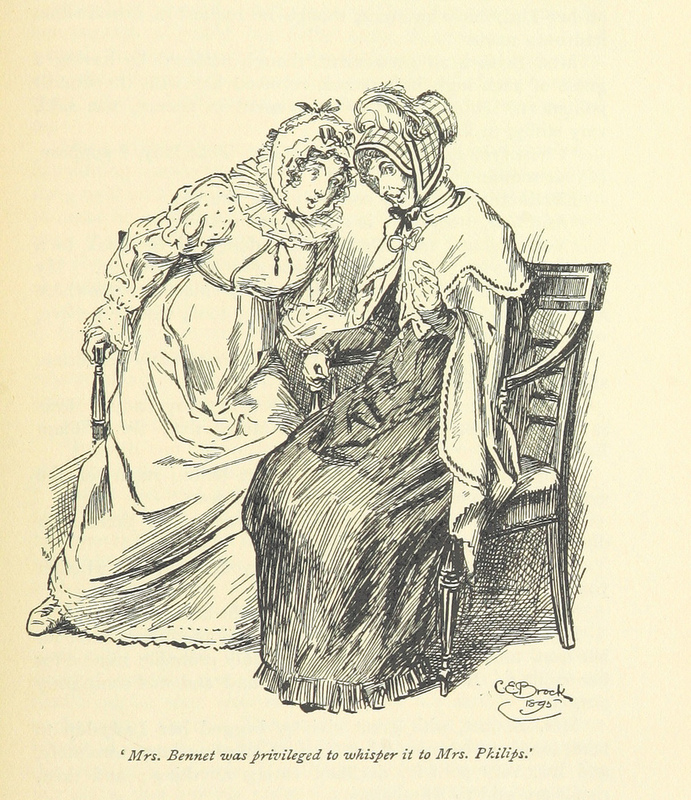 Perhaps unsurprisingly, although Hanna and Melitta knew each other well they had a difficult relationship. As the tide of the war turned against Nazi Germany, both looked for radical ways to bring an earlier end to the conflict. Their beliefs, determination, courage and actions would put them on opposite sides of history. Years later, when Hanna was infamous, revered and abhorred in almost equal measure as she doggedly failed to condemn the regime over the thirty years after the war, Melitta simply faded from the record. Uncovering the dramatic story of these two remarkable women has shed fascinating new light not just on their lives, but on life more broadly inside Germany under the Nazi regime, the limited options open to some, and the courage it took to face realities and act on truths under the perverting conditions of dictatorship, terror and war. The enormously powerful Nazi German armed forces led to the suffering and death of millions of people, Jews, Poles, Russians, Roma, British, French, American, those considered less able or less desirable, the list goes on. This book searches for the truth about two female pilots, asks how they came to be so skilled, why they were so successful, and how they felt about serving Hitler. This is a painful subject for the victims of Nazism, but I hope that the book will lead to a better understanding of the ways in which Hitler was able to harness the resources of his country for his terrible purposes. Seeking answers and understanding in such murky waters is fraught with difficulties, but the complexities and contradictions revealed are themselves very telling. The Women Who Flew for Hitler was published by Macmillan in the UK and St Martins in the USA on 29 June 2017. I went to see Dunkirk earlier this week. Not the town but the film of the same title written and directed by Christopher Nolan. It is a remarkable piece of art but is it a good film? And is it historically accurate? And does that in fact matter? I went with a completely open mind and was determined to leave my historian's hat firmly at the door. Trouble is, I went with an American friend and his English-born wife who had no idea about the history behind the evacuation at Dunkirk as the USA did not enter the war for another eighteen months. 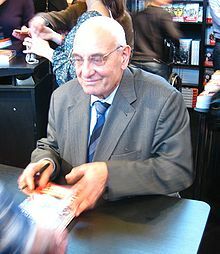 So I gave them a very brief outline: as the Germans stormed across the Netherlands, Belgium and then parts of France hundreds of thousands of soldiers and their equipment were trapped in a small area of land around the French seaport of Dunkerque known of course by its British name Dunkirk. It is just 10 kilometers (6.2 miles) from the Belgium border and in May 1940 was teaming with troops from the British Expeditionary Force and the French, Belgian and Polish armies. Between 26 May and 4 June 338,226 soldiers were rescued from the harbour and beaches by a hastily assembled fleet that comprised over 800 boats, some of them trawlers, pleasure craft and barges. There was even a paddle steamer, HMS Daffodil, that had ferried evacuee children from Dagenham to Lowestoft in September 1939. Of those men rescued, over 120,000 were French. And the Little Boats, as they became known, came not only from across the Channel but further up the western coast of mainland Europe. Some forty Dutch vessels with naval crews rescued around 26,000 men. The evacuation of Dunkirk, known as Operation Dynamo, was deemed a miracle. For those caught up in the flight from the Germans it was a terrifying and humiliating ordeal. My grandfather, then Major Philip Toosey in the Territorial Army (4th West Lancs) was picked up on the night of 2 June 1940 in the last contingent of British troops to be rescued. The following evening he had dinner with his wife in Manchester. He wrote after the war: 'This, I think, was one of the most vivid contrasts of the whole war – the night before standing up to my neck in the sea at Dunkirk with not a great hope of ever getting home and the next night having a very good dinner in the Midland Hotel.' He had been picked up along with the remains of his regiment by a Thames barge which was holed below the waterline and constantly in need of baling out. The barge eventually drew alongside a larger vessel and the men were able to scramble up the nets on the side and to safety. As the last man clambered up the ladder on the side of the minesweeper the barge gurgled and sank. In fact, of the 861 Allied ships that were involved in the Dunkirk evacuation, 243 sunk but not all by enemy action. Some sank, like the Thames barge that rescued my grandfather, too old and ill-adapted to the sea. Others were attacked from the air and by mines. It is estimated that the cost in human terms was some 3,500 British killed or drowned at sea or on the beaches with a further 1,000 lives lost as a result of air raids on Dunkirk. About 40,000 British troops did not make it back across the channel. 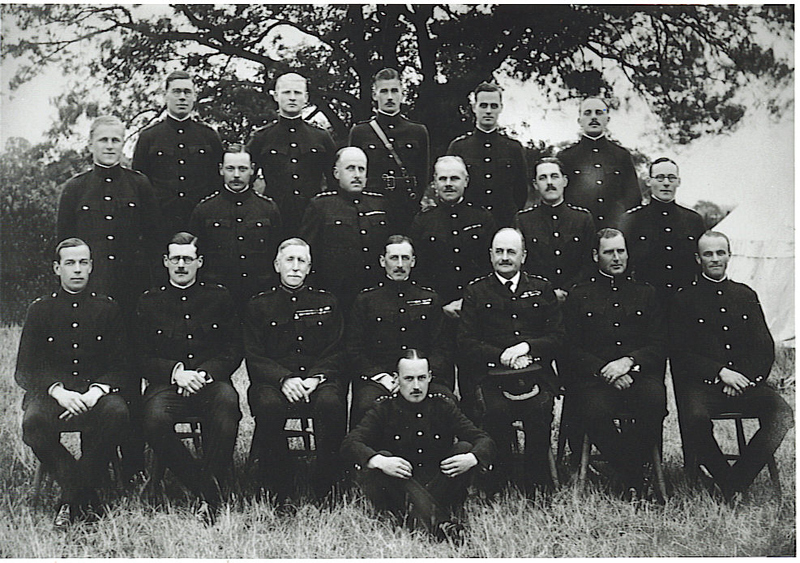 They were taken prisoner by the Germans and spent the rest of the war in POW camps. It was by any measure an extraordinary episode in the early years of the war and one which captured the imagination of the British public back home. 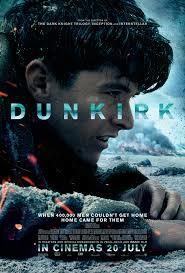 The spirit of Dunkirk became a by-word for resilience and bravery, only to be eclipsed a few months later by the Blitz spirit as Britain itself came under air attack. Back to the film. It is impressive on so many levels. The score is fantastic. Hans Zimmer uses Edward Elgar's Nimrod to such powerful effect that when the audience see the Little Ships for the first time it is hard to hold back the tears. 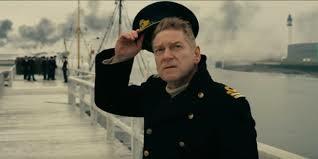 The conceit of the film merges three time frames: a week for the soldiers; a day for a captain of a pleasure craft and an hour for a Spitfire pilot. That too works well. The cast is outstanding, the photography magnificent, the scenes of drowning and death powerful. Yet something, for me, is missing. It is not the history. It is the humanity. This, after all, was a massive human triumph and tragedy in equal measure. For individual men it was a matter of life or death but somehow, I do not now how, that is missing from this epic film. And without the human story history films, however impressive, are just a visual spectacle. Some years before she died, my mother gave me an old silver trowel as a birthday present. With its chunky, solid, ivory handle it has the weight and shape of a real builder’s trowel, and does the job of picking up cake and flans very well. 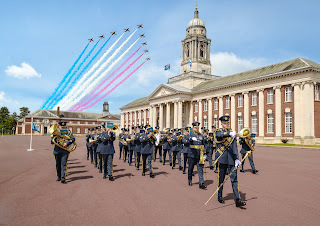 RAF Cranwell College had been founded in 1920, and housed in barrack huts built during the First World War. 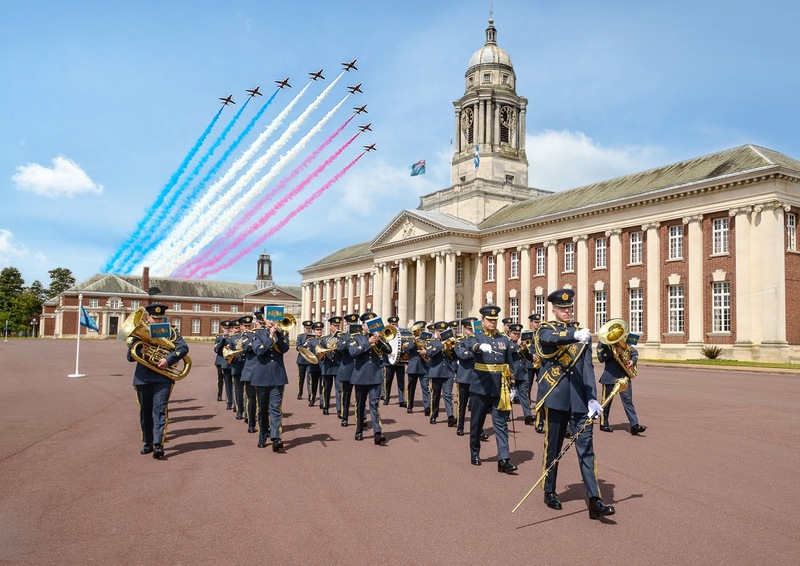 In order to foster tradition and inspire the air cadets, they needed a permanent building. 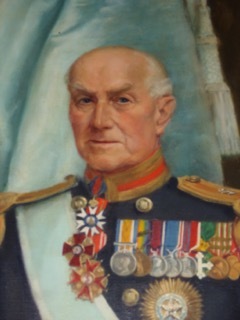 Sir Samuel Hoare (1880-1959), the Minister for Air since 1922, also understood that the RAF Cadet College was a temporary and precarious service and for the future defence of Britain, it was important that the RAF had equal standing with the other British armed forces, the navy and the army. Early in 1929, Sir Samuel formed a plot. He obtained the authority to commission architect’s plans for an RAF College and commissioned Sir James Grey West (1881 –1951), an eminent architect in the Office of Works. His first design was inspired by London’s elaborate Victorian-Gothic St Pancras Railway Station. This was rejected, possibly on grounds of taste. His second set of plans, based on the Royal Hospital Chelsea designed by Christopher Wren in 1692, was accepted. But the Ministry of Air had no authority or budget from the government to construct the building, and a General Election was due in a matter of weeks. No expenditure had been authorised for anything other than the plans, and Sir Samuel could soon be out of office. There was no time to lose. Sir Samuel realised that whatever the outcome of the election, if the building of Cranwell College had started, whether the government was Conservative, Liberal or Labour, they were likely to finish it. The Marshal of the RAF, Lord Trenchard, (1873 –1956) and Sir Samuel quickly arranged for an official laying of the foundation stone before the dissolution of parliament. The night before, the RAF cadets held a clandestine mock ceremony, sharing caricature performances of the leading dignitaries. Samuel Hoare VI as Honorary Elder Brother of Trinity House in 1956. By Aubrey Claud Davidson-Houston. With so little time to make arrangements, Sir Samuel probably borrowed a ceremonial trowel from his brother-in-law Luke Paget, the Bishop of Chester, who was about to perform a similar duty on a new church in his diocese. Or maybe Sir Samuel bought a new silver trowel, there was no time to inscribe it and he then passed it on to his brother in-law to lay the foundation stone of St Chad’s Church in Cheshire. Sir Samuel handed the silver trowel to his wife Lady Maud who placed some cement onto the foundation. 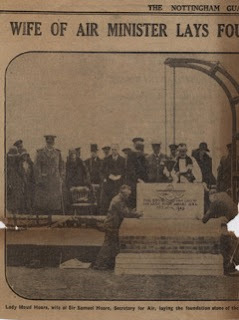 The first stone was lowered by a small crane into place. The Chaplain-in-Chief, the Venerable Robert Edward Vernon Hanson, (1866–1947) said a prayer and then Sir Samuel gave an address, before the parade marched past the saluting base to close the ceremony. This was an act of bluff to persuade the government to fund the building; and an act of faith that the next government, whoever they were, would finish the job now it had been started. On 30 May 1929, the Labour party, under Ramsay Macdonald, won the most parliamentary seats for the first time but failed to achieve an overall majority. However, the new ‘hung’ government accepted the RAF plan and proceeded with the building, which was finished in 1933. Sir Samuel then presented over 100 lime trees (Tilia x europaea) stating that an avenue was an ‘indispensable attribute to a great house’. And when tea was rationed during the Second World War, lime blossom made an acceptable alternative. As a British M.P., in 1935 Sir Samuel piloted the India Independence Bill through the House of Commons and as Home Secretary, in 1938 introduced Kindertransport to allow European Jewish children entry into Britain. A brilliant politician, he knew how to achieve his goals, even if it meant using his wife to wield his brother-in-law’s silver trowel. There might have been a different silver trowel, inscribed with the details, but no-one has found it. Unless a diary or note revealing any of this emerges, or the trowel appears one day on Antiques Roadshow or Cash in the Attic, we will never know. 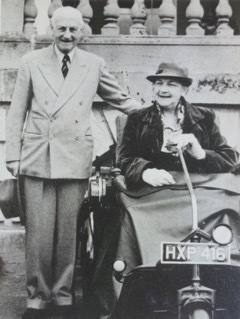 Sir Samuel & Lady Maud, now Lord and Lady Templewood in 1957. Apologies if I’m repeating some of what other bloggers have written this month but I find I have a lot I want to say about her. Cassandra’s naive drawing of her sister looks down at me as I write. For me, her novels are associated with a strange period when I was twelve. I was ill and lay, for weeks it seems, on my parents’ sofa reading Jane Austen’s novels. I was young enough to be pleased to be reading grown up books and far too young to appreciate the brilliant subtlety of her voice. Thirty years later, I watched my daughter discover her novels with the same delight. I never had the misfortune to ‘do’ Jane Austen at school and I think it’s the test of her greatness that she is one of the writers who has grown up with me. Now I read her with the same wonder I listen to Mozart; because she makes it look so easy. Although I’ve seen some good adaptations of her novels I never feel the characters look quite right - too modern? Too knowing? Too slouchy? I prefer the old illustrations here to stills from the films. The hair was curled, and the maid sent away, and Emma sat down to think and be miderable. - It was a wretched business, indeed! - such an overthrow of everything she had been wishing for! - Such a development of every thing most unwelcome! -Such a blow for Harriet! - that was the worst of all. Those dashes are like bolts of energy and, as John Mullan has pointed out, Jane Austen was a pioneer of free indirect style, where the narrative adopts the sentiments of the characters. Can anyone think of an earlier novelist who does this? Austen's characters are not just fully alive but also have afterlives (which might be why they have inspired so many sequels). Apparently she used to enjoy discussing this with her family. 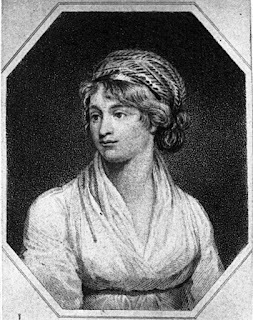 According to her nephew, James-Edward Austen-Leigh, his aunt told the family that Miss Steele never succeeded in catching the Doctor; that Kitty Bennett was satisfactorily married to a clergyman near Pemberley, while Mary obtained nothing higher than one of her Uncle Philips’s clerks, and was content to be a star in the society of Meryton. Mr Woodhouse would die two years after Emma’s marriage, allowing her to move to Donwell (and perhaps retrospectively justifying his hypochondria), while sensitive Jane Fairfax would apparently have nine or ten years of married life with Frank Churchill before her death. By comparison almost all other writers waffle. She is, strangely, more modern and accessible than many later writers because she does not waste a word. Even Dickens and George Eliot are often verbose and pompous by comparison - their moralising shouts at the reader while hers whispers. "You must allow me to tell you how ardently I admire and love you" - the great love declaration from Pride and Prejudice. This month on the History Girls has a Jane Austen theme in celebration of the author's 200th anniversary. I confess I am not a fan of Jane Austen's writing. My first brush with her work came during the run up to 'O' levels when I was 15 and we were sent home over the school summer holiday with a brief to read Mansfield Park and Graham Greene's Brighton Rock and decide which of the two we would prefer to study for our exam. When returned in September, the result was unanimous. Brighton Rock won without a single vote of dissent. The boys in the class were especially relieved! I don't recall much about Mansfield Park. I think I probably started it and had wall-banged by the end of chapter 3. But then I was only 15 and many people have told me it's not the best Austen on which to cut one's teeth. I have tried to read Austen on several occasions throughout my adult life but whatever the novel, I have never got past the early chapters. I have realised that it is her voice. 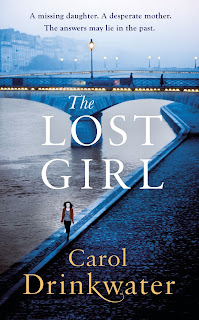 She might be a thoroughly witty, talented author with secret and complex things to say, but for me, her voice is like the incessant whine of a small mosquito or the high-pitched tweety, tweeting of a little fluttery bird. It irritates me beyond belief. I accept that it's me and a personal taste thing. My agent and editor are both horrified and stunned that I don't get Austen. But I don't. I'm not tuned in and that's just the way it is. However, I have found enormous pleasure, nay hilarious joy, in the way she has inspired the creativity of certain others. I thought I'd share with you a couple of my Youtube Jane Austen procrastination favourites. They make me laugh, they lift my mood, and they are such fun. The first is a tour de force. Whether or not it was inspired by various Austen mash-up novels I don't know, but I can watch Jane Austen Fight Club on a repeat loop. Another favourite is Robert Webb's portrayal of Mr Darcy's dancing from the BBC 2 series That Mitchell and Webb look. Another one that never fails to make me laugh. The conversational tone is spot on Jane Austen! Without Austen's original works, I would never have had the delight of these two wonderful spoofs! Thus Elizabeth Bennet on her future husband, Darcy. A lot of people regard Jane Austen as romantic fiction nowadays (maybe because of that episode when Darcy appeared before Elizabeth in a wet shirt). But for all Darcy's 'fine, tall person, handsome features, noble mien', Pride and Prejudice is absolutely not about a young woman succumbing to a fit of romantic, overpowering emotion, to say nothing of sexual attraction. A couple of years ago, I came across a mention of Robert Bage's 'Hermsprong,' a book which Jane Austen had on her shelves. It's an interesting read for many reasons; one, the reiteration of the couplet 'pride and prejudice' on its pages, though for all I know the pairing of the words may well have been common at that time. 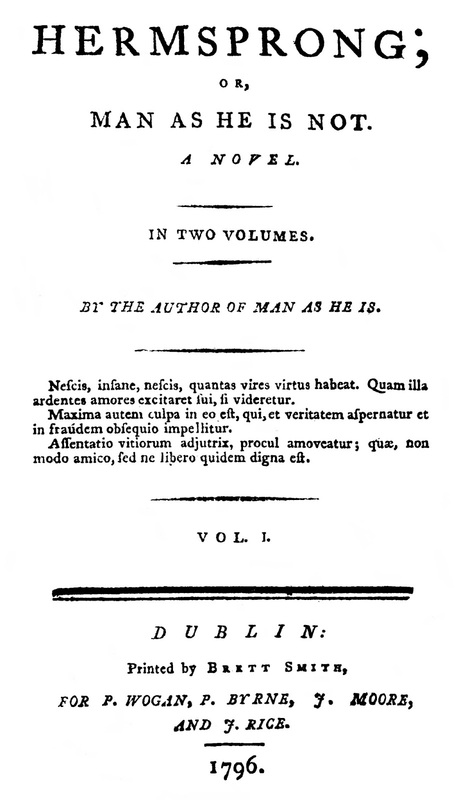 It was published in 1796, a year before Austen completed the first draft of what was at that time called 'First Impressions.' And if it is a harder read than Pride and Prejudice, when you get into it, and past the rather laboured prologue, it's a fascinating one, particularly because of resonances with Pride and Prejudice. One theme is the irrationality of revering persons just because of their high rank and how respect must be earned (Bage was known as a democrat, which wasn't a compliment in many circles. 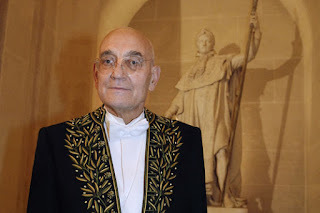 He had read Tom Paine and didn't concur in the dogma that the British form of government was the best possible, which in the days of repression following the French Revolution, was dangerous). Pride and Prejudice is not a radical text, but the folly of snobbery is important in the text, as it is in other Austen novels (think silly, feckless Sir Walter Eliot, brown-nosing his noble connections and condescending to those he thinks 'inferior' to himself'). However, what I want to talk about here is the issue of how anyone can achieve lasting happiness in marriage. Clearly, the 'presenting theme' of Pride and Prejudice, announced in the first paragraph, is the importance of getting a husband (and an establishment) in the first place. Mrs Bennet knows this, and is hot on the scent of profitable husbands; not half as foolish as she's portrayed. 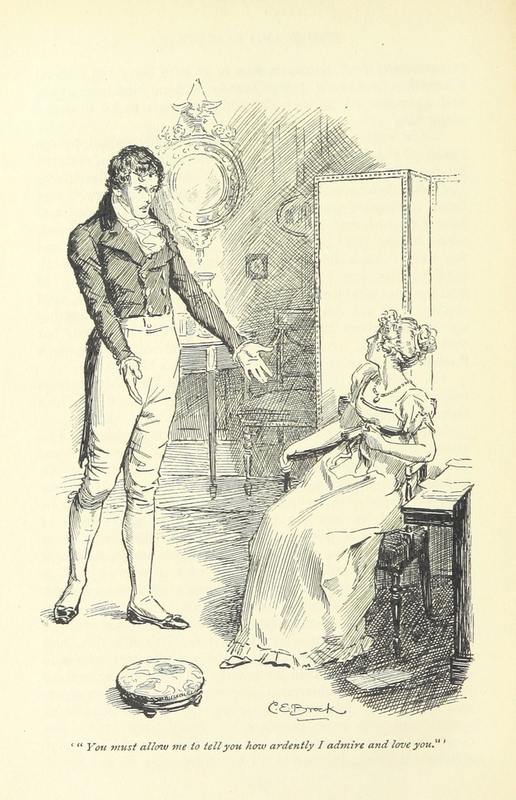 Charlotte Lucas makes a cold-eyed choice of Mr Collins; marriage being: 'the only honourable provision for well-educated young women of small fortune, and, however uncertain of giving happiness, must be their pleasantest preservative from want.' Charlotte's solution to the stupidity of the man she must live with is to forget him as much as possible, and enjoy looking after her parish and her poultry, and, later on no doubt, her children. It's to be hoped they don't take after their father. Hermsprong and his Caroline take long walks together and discover how much they have in common as well as falling in love. 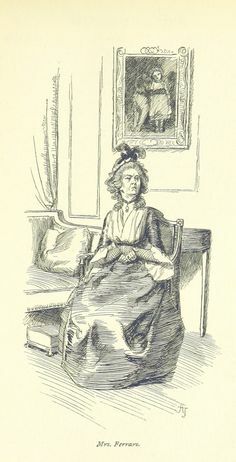 It has to be said that I much prefer Caroline's less virtuous bosom friend Maria Fluart, a fascinating, independent-minded woman who supports Caroline against her abusive father Lord Grondale and, when Grondale tries to keep her in his house against her will, whips out a pistol and levels it at him and his friends. Did Roald Dahl read Hermsprong, I wonder? Maria Fluart doesn't whip the pistol out of her knickers, as Dahl's Red Riding Hood does, because women didn't wear knickers in those days, but there is a marked similarity. All the same, Hermsprong and Caroline are ideally suited to each other, and are likely to remain friends all their lives. This is the point of the novel. Compare this with the union of Lydia and Wickham 'a couple who were only brought together because their passions were stronger than their virtue.' It is not, of course, impossible that Lydia and Wickham might after all become friends, but it is unlikely, and in fact Austen indicates that it doesn't happen. Radical Austen is not, nor is she a feminist in the way Wollstonecraft is, and yet her novels recommend marriages which are based on the suitability for each other of the heroine and hero; not based on rent-rolls, or snobbery, or the desire to keep estates in the family - and not on a dizzying storm of sexual attraction either. Author feuds: we at the History Girls are above such things but they are horribly common. Gore Vidal comparing Norman Mailer to Charles Manson; Vidal retaliating by punching and then headbutting him. HG Wells calling Henry James a 'painful hippopotamus' before engaging in a rather nasty letter-writing battle. Ernest Hemingway dismissing F.Scott FitzGerald as a sissy, a moaner and a drunk. No one comes out well and it's not just the men who know how to sharpen a quill: the above 'attack' on Walter Scott was penned by our own mistress of manners, Jane Austen. Now I'll be honest here, I'm not the world's greatest Austen fan, my tastes run a bit more melodramatic (and sometimes my prose, my agent's term 'you've gone purple again' is never meant as a compliment) which is why I love Walter far more. No one can deny, however, how well Austen can mix admiration into rivalry or the elegant dryness of her tone. This archness runs through her letters as much as her novels although the above comment (written to her niece Anna in 1814) does continue in a rather blunter vein: "I do not like him, and do not mean to like Waverley if I can help it - but fear I must." It's hard not to hear the gritted teeth grinding just a little. Walter Scott was, of course, a very different writer to Austen. His books are written on a far larger scale than hers and in a far more exuberant (also known as completely over-the-top) way but he was generous in his appreciation of Austen's style. 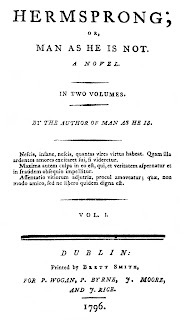 His review of Emma, published in The Quarterly Review in 1816 is widely credited with bringing her work to a wider audience and may have been the impetus behind an early American printing. The review is not a raving endorsement but does include positive comments about Austen's other works (with one omission) and makes a distinction between Emma and what many felt was multiplicity of novels suddenly flooding the market, stating that it showed “a knowledge of the human heart, with the power and resolution to bring that knowledge to the service of honour and virtue,” unlike the “ephemeral productions which supply the regular demand of watering-places and circulating libraries.” Whether or not Austen appreciated the review (or even knew that Scott was its author) is unclear. As with much of her writing, her response that the authoress “has no reason, I think, to complain of her treatment in it, except in the total omission of ‘Mansfield Park.’ I cannot but be sorry that so clever a man as the Reviewer of ‘Emma’ should consider it as unworthy of being noticed” can be read in a positive or a peevish tone. Scott continued to reflect positively on Austen's work throughout his own career. 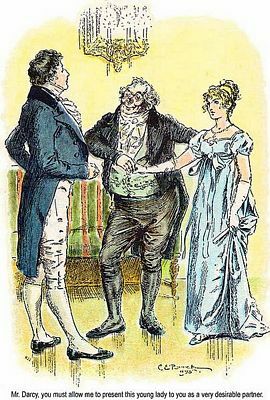 In 1826, he wrote in his private journal:“READ again, and for the third time at least, Miss Austen’s very finely written novel of Pride and Prejudice. That young lady has a talent for describing the involvements and feelings and characters of ordinary life which is to me the most wonderful I ever met with. The big bow-wow strain I can do myself like any now going; but the exquisite touch, which renders ordinary commonplace things and characters interesting, from the truth of the description and the sentiment, is denied to me.” (From an article by Stuart Kelly, whose book Scott-Land: The Man Who Invented a Nation is a wonderful read for anyone interested in Scott's life). In 1832, Scott wrote in the preface to the one novel he wrote with a more domestic setting, St Ronan's Well, that he had no “hope of rivaling … the brilliant and talented names of Edgeworth, Austen..whose success seems to have appropriated this province of the novel as exclusively their own." Was Austen as generous in return? I'm not enough of an Austen scholar to know but I think it would be fair to assume she was not. Although Scott could appreciate the genre she had made her own, she was definitely no fan of his. When James Stanier-Clarke, librarian to the Prince Regent, 'helpfully' suggested she might like to write a work of historical romance to celebrate the Prince, she was less than complimentary at the idea. "I am fully sensible that an Historical Romance, founded on the House of Saxe Cobourg might be much more to the purpose of Profit or Popularity, than such pictures of domestic Life in Country Villages as I deal in – but I could no more write a Romance than an Epic Poem. I could not sit seriously down to write a serious Romance under any other motive than to save my Life, & if it were indispensable for me to keep it up & never relax into laughing at myself or other people, I am sure I should be hung before I had finished the first Chapter." Damned by faint praise indeed. 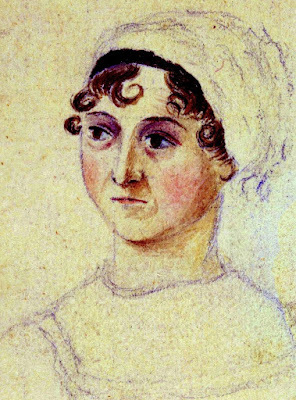 It is unfair of me to call the relationship between Scott and Austen a feud, it's really more of a niggle although I'm sure her clever tongue could hold its own in any author-celebrity death match. The one I would have liked to see? Austen versus Mark Twain. Twain loathed Austen's work, interestingly he also loathed Walter Scott, so much in fact that he once cited Walter Scott disease as a prime cause of the American Civil War: "Sir Walter had so large a hand in making Southern character, as it existed before the war, that he is in great measure responsible for the war." Reading Twain on Austen reminds me of the horrors of having to teach her to teenage boys: he expressed amazement that she had a natural death instead of being executed for literary crimes and followed that up by declaring he wanted to dig her up and beat her over the skull with her own shin-bone every time he attempted to read Pride and Prejudice. Exactly like teenage boys. I couldn't break them, I'm not convinced I didn't side with them at times, but I doubt the woman who could write "I always deserve the best treatment because I never put up with any other" would have been troubled by any of us.